As if managing to clip one with a shotgun isn’t challenging enough, there are some people out there that want to go grouse hunting with a bow. I personally thought they were a bit crazy at first (how the heck are you going to hit a moving grouse!? ), but after reading up on it I now see what they’re talking about. Let’s dive into how exactly people go about bow hunting grouse. First lets clarify something. No one in their right mind is going to try to hit a grouse in thick cover, while moving, with a bow. There’s just no way. Heck, getting a clean shot off at a stationary deer from a pre-planned, brushed out shooting lane is challenging enough if they don’t ready the script. Anyone that has ever spent time in the grouse woods knows that there is zero chance you’re sneaking an arrow through there at something moving as quickly as a grouse. Just getting your bow drawn back in time would be a major challenge. After doing a bit of research I figured out what people are actually doing. They’re letting a grouse fly up to roost in a tree, and then they’re shooting it. This allows them to get into position, line up a shot, and let ‘er fly. Seems much more reasonable, right? Use a small game broadhead like this one from G5 to keep from tearing up your grouse too bad. Most people that end up successfully grouse hunting with a bow likely started out trying to hunt something else, so theyÂ probably aren’t hunting with a dog. Either they are in a stand deer hunting and a grouse walked by, or they are hiking around the woods for a different reason. With that being said, their actual bow is obviously set up the same way as most deer hunters. It isn’t necessarily required, but if you’re going to try shooting a grouse with a bow you probably aren’t going to want to use a broadhead or field tips. First, broadheads are way too expensive to fling at a grouse, and you’re likely going to lose your arrow on the pass-through. 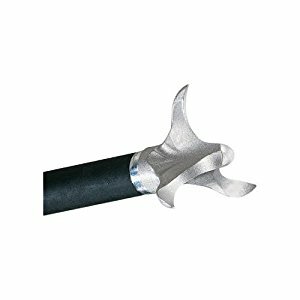 Most experienced hunters would probably recommend a small game type broadhead that causes blunt force trauma instead of actually passing through. Examples of these would be a Judo point, a snaro point, or even a G5 Small Game Head. Debating which ones are most effective is definitely a whole different topic, but you get the idea. If you’re grouse hunting with a bow you want to cause blunt force trauma, not penetration. So if you are planning on potentially bow hunting grouse, it’s a good idea to keep an arrow or two in your quiver with one of these broadheads on them. Use something like the Gold Tip Twister Flu Flu to keep your arrow from sailing into the next county. While it’s certainly not something you’d want to use for big game, the flu flu is essentially your normal arrow fletching on steroids. 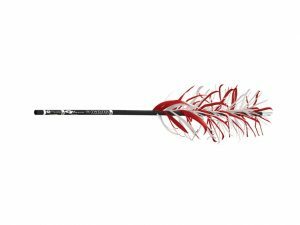 The concept behind them is that they catch a significant amount more air resistance than a normal fletching or vein, which slows them down really fast. On a short range shot that you’re probably going to be taking at a grouse they’re still going to hit with plenty of power, but they’re not going to sail on you as badly if you miss. Keep one of these in your quiver with a Judo or G5 small game head & you’ll be ready to go when you suddenly end up walking through the right area & hunting grouse with a bow. So next time you head out deer hunting be prepared with an arrow or two in your quiver. You just never know when you’re going to end up bow hunting grouse! 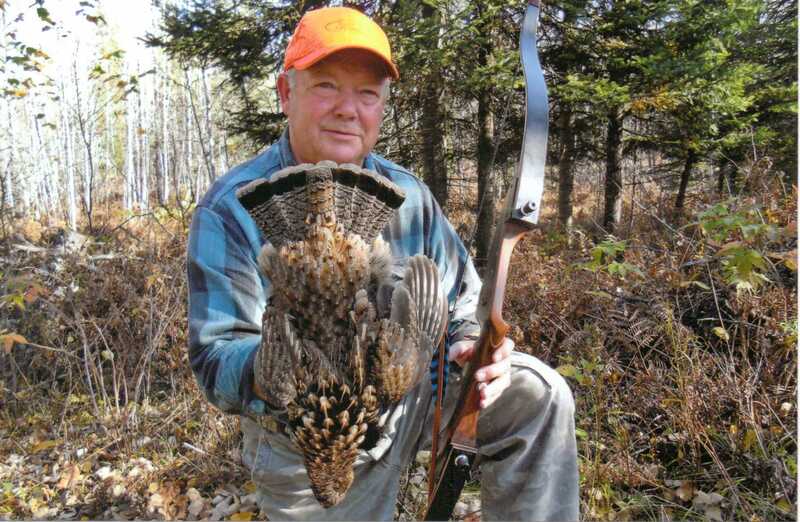 What Do Ruffed Grouse Eat?